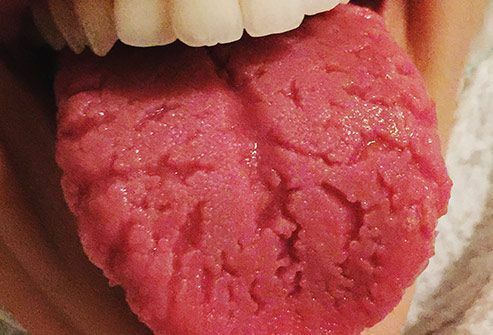 Your tongue can get this dark coating when there’s a buildup of the protein keratin in your mouth. You might also feel a gagging or tickling feeling on the roof of your mouth and have bad breath. It looks alarming, but don’t worry -- it’s harmless. Good dental hygiene, including brushing your tongue or using a tongue scraper, is usually enough to cure the problem, but see your dentist if it doesn’t go away. 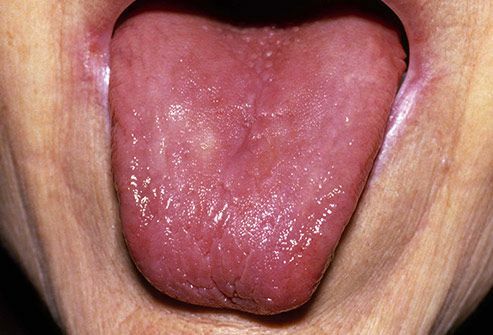 This condition means you have grooves on the top of your tongue. It might be a single deep one in the middle, or it can also show up as multiple shallow fissures. There’s no known cause of fissured tongue, but it’s not contagious or harmful. It just takes a little extra effort to clean your tongue to remove any food that may get stuck in the grooves. People with this condition have red patches on and around the sides of their tongues. The spots can last for just a few hours or several months, and they can sometimes cause a mild burning feeling. (Avoiding acidic or spicy foods may help.) 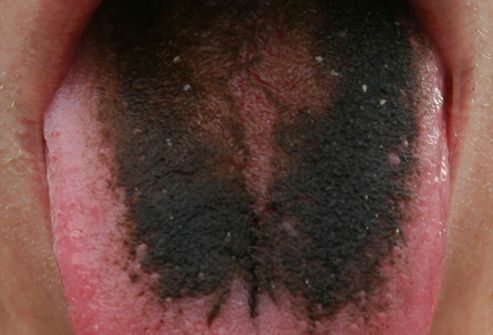 There’s no known cause or specific treatment for geographic tongue. But it’s not dangerous. For most people, it’s just a bit annoying. 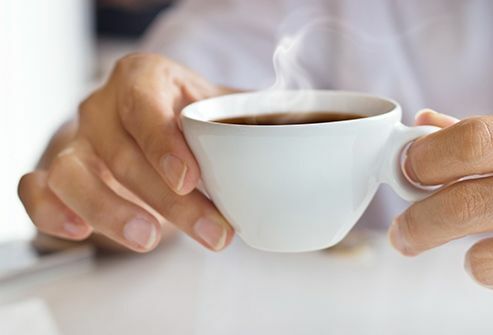 When you have this condition, you can feel like you just gulped piping hot coffee. The burning tends to get worse as the day goes on. No one knows the exact cause. Some experts think it’s a nerve problem, but it’s also linked to conditions like acid reflux and menopause. There’s no cure, but your dentist may suggest you make some changes, like switching toothpastes. 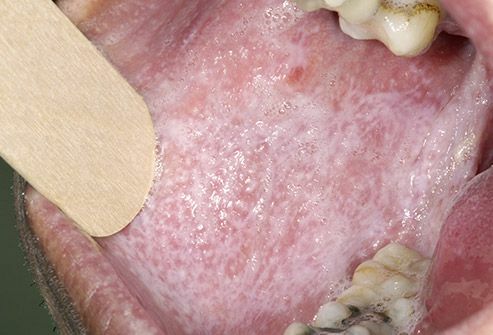 This is a thick white patch on your gums, the inside of your cheeks, or the bottom of your mouth that you can’t rub off. Smoking or irritation (from poorly fitting dentures, for example) can cause it, but your dentist may do a biopsy on a small piece of the tissue to rule out oral cancer. Treatment usually involves stopping whatever is irritating your mouth, but in some cases, doctors can remove the patches with surgery. Also known as atrophic glossitis, this is when your tongue sheds the bumps that give it the usual rough texture, leaving it shiny and smooth. It’s usually caused by another health condition like a nutritional problem, Celiac disease, or an infection. To treat it, you’ll need to figure out the underlying cause and address that first. So work with your doctor to find out what’s going on. This condition makes fine white lines in a lacy pattern on the inside of the cheeks, and sometimes the gums and top of the tongue, too. No one knows the exact cause, but it may be that your immune system attacks the lining of your mouth. It’s harmless and has no other symptoms, so you don’t need treatment. 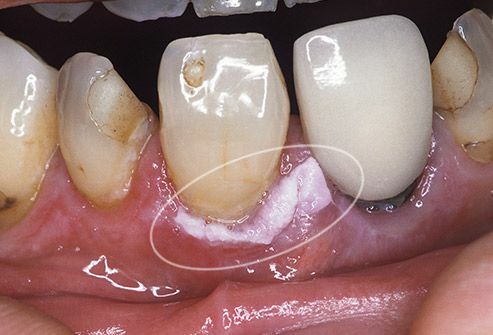 This painless blue-gray or black spot can show up anywhere in the mouth, but it usually appears on the gums next to a filling. It happens when a tiny piece of metal gets lodged in your mouth during dental work. 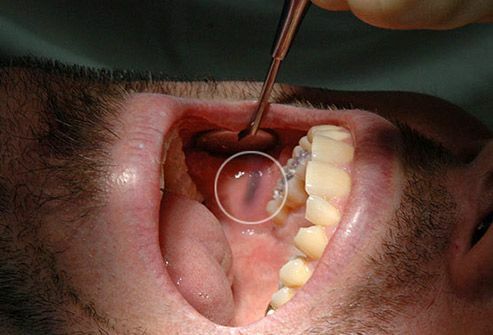 It sounds bizarre, but an amalgam tattoo is totally harmless and doesn’t need treatment. Your dentist will be able to confirm that the spot isn’t something more serious, like melanoma. These tiny tongue bumps (also known as transient lingual papillitis) can be painful, but they usually go away within a day or two. Children and adults can get them on the tip of the tongue, and they sometimes feel itchy or tingly. There’s no definite cause, but they’ve been linked to infections, food allergies, and sensitivity to oral hygiene products. An over-the-counter numbing gel may help with the pain. If the surface of your tongue looks yellowish, there’s a good chance it’s caused by a buildup of bacteria. It could also be stained from food, drinks, or smoking. Good oral hygiene, including brushing your tongue or using a tongue scraper, should take care of the problem. If not, see your dentist to rule out a more serious condition, like jaundice. 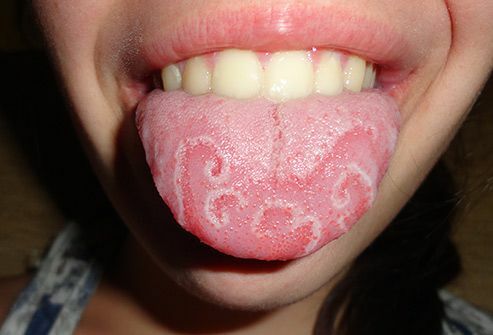 This can happen when your teeth leave indentations along the sides of your tongue. It could be a sign that you have a bad bite or sleep disorder that makes your tongue push against your teeth. Or it may be because you have an enlarged tongue -- and that could mean you have another health issue, like a hormone imbalance. It’s best to get this checked out by your dentist or doctor. Bastian, H. Oral Medicine & Pathology from A-Z, Books on Demand, 2015.